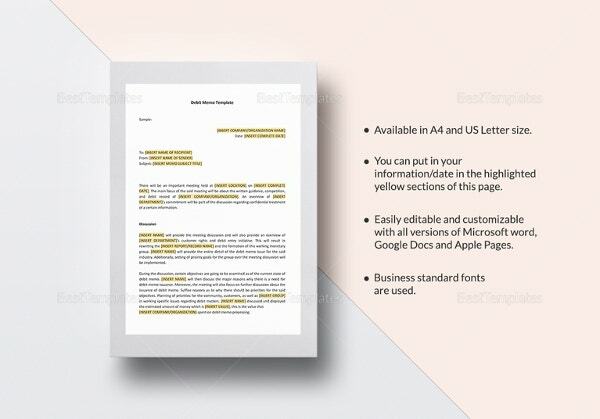 Memo Templates – 22+ Free Word, PDF Documents Download! 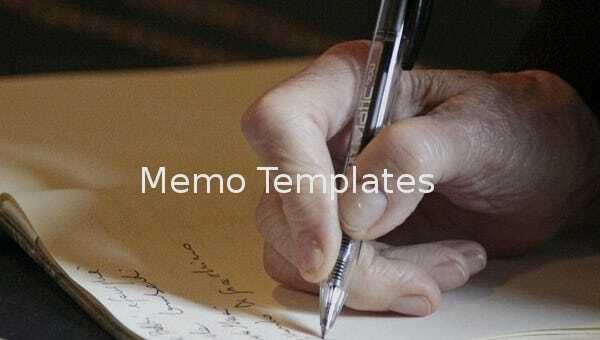 A pre-defined template is extremely useful for memorandums because they not only ensure consistency among similar memos but also enables designers to re-use a lot of designs and formatting so as to provide a consistent and relevant look to the memo. 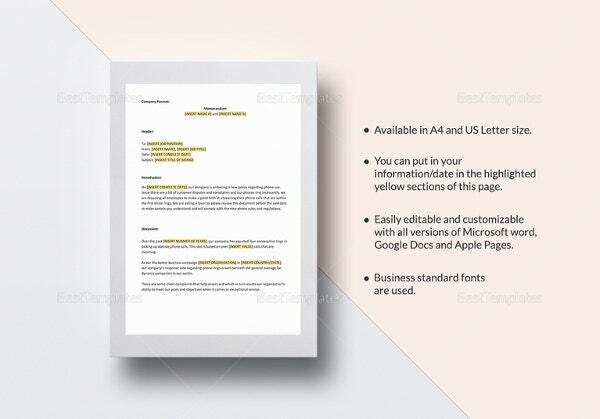 Memo templates format are mostly designed using Microsoft Word, PDF or PSD images depending upon the need of the situation. 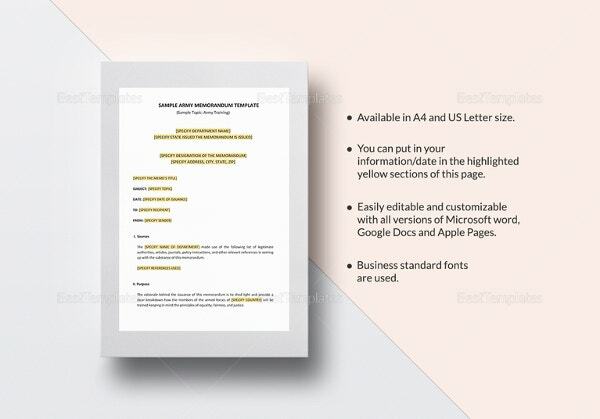 A legal or an official memo is mostly is designed in Word format where as announcements on team outings, get-togethers can use artistic styling and imagery. Buy Now Army memorandums are most used for formal communication within the army regime. Therefore, a lot of professionalism and discipline should be conveyed from the style of the content. 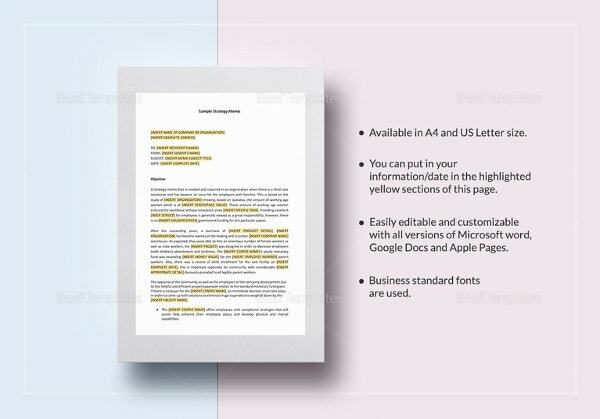 Such memos are mostly designed in Microsoft Word and contain format styling and texture, along with a proficiently written content. Images or informal styling is a strict NO. 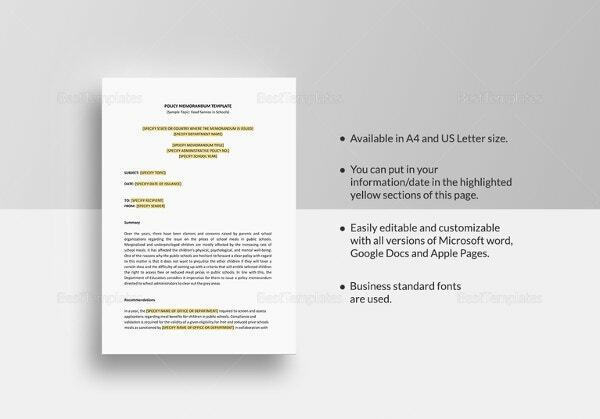 Buy Now Business memorandum, though mostly formal, can be a little informal as well at times depending upon whether the memo is meant for external client and stakeholders or internal employees. However, extensive usage of imagery and informal font styles are not recommended. These templates are mostly in the form of Microsoft or PDF. Buy Now A credit memo (colloquially known as invoice) is meant for tracking transaction between two parties. Therefore, these memos invariably follow a set template which has been approved by the company. Mostly designed in Microsoft with tabular structures, and a company logo, credit memo templates mostly keep track of the cash flows of a company. Buy Now The memorandum of understanding is a mandatory document to be filed by each and every company and should be as exhaustive as possible. This document actually defines the scope of business that the company is envisioned to execute. 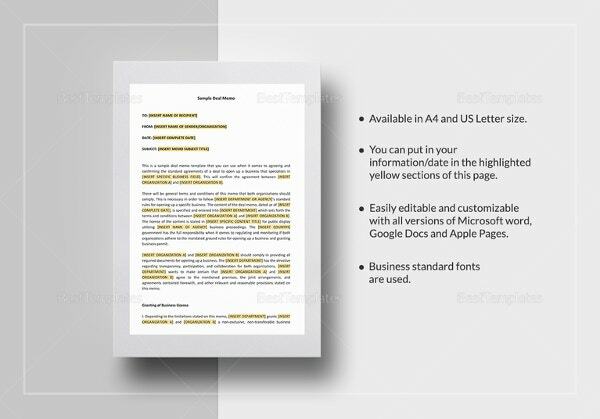 These memos are designed in Microsoft Word or PDF format, and are ideally outsourced by companies to specialized vendors. 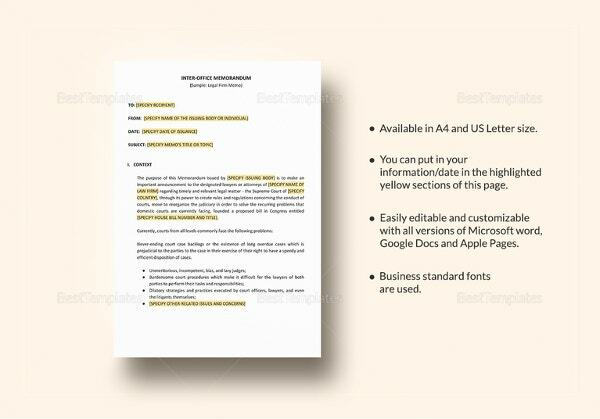 Buy Now A professional memo template is ideally intended to convey a formal message to group of people. 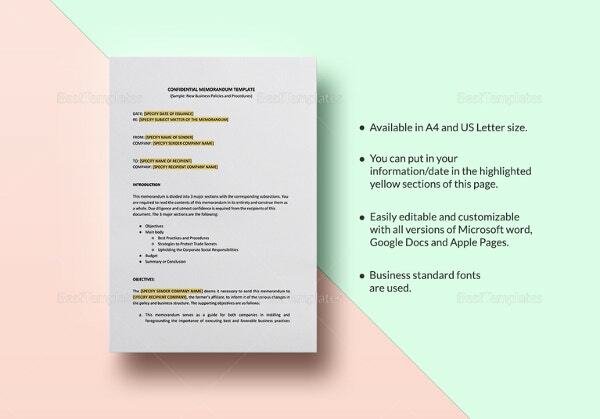 These templates can be used for varying purposes such as business proposals, standard operating procedures, legal memorandums and many more. Usage of imagery and other designs are not recommended for such templates. These are generated in Microsoft Word or an editable PDF format. Buy Now Legal memorandums are extremely formal and structured content drafted as per the rules and protocols laid by the law of the land. These memorandums are probably the most formal and exhaustive which goes through several rounds of reviews to prevent any shortcomings. 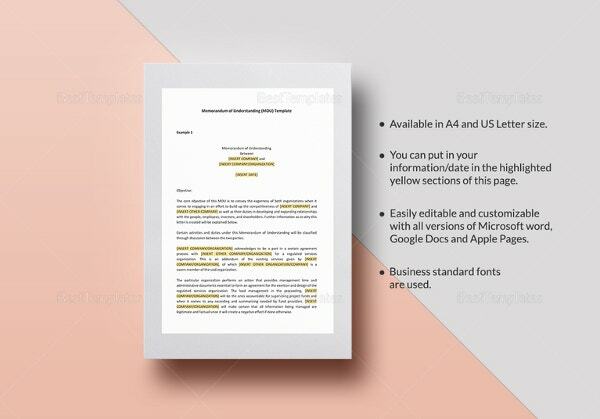 Legal memo templates are designed in Microsoft Word, which are then printed on a stamp paper or anything similar. 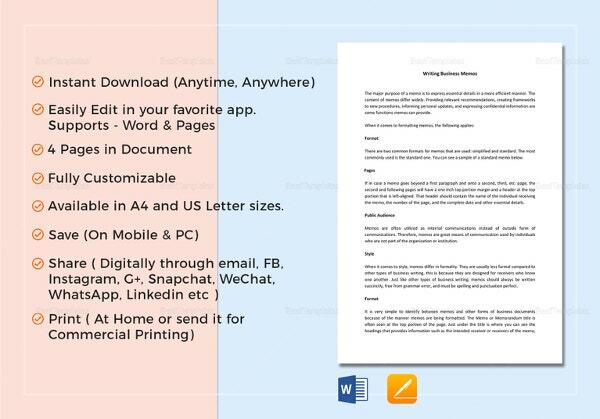 Buy Now Inter-office memo, also known an inter-company memo, are mostly used for internal communications between the employer and employees. 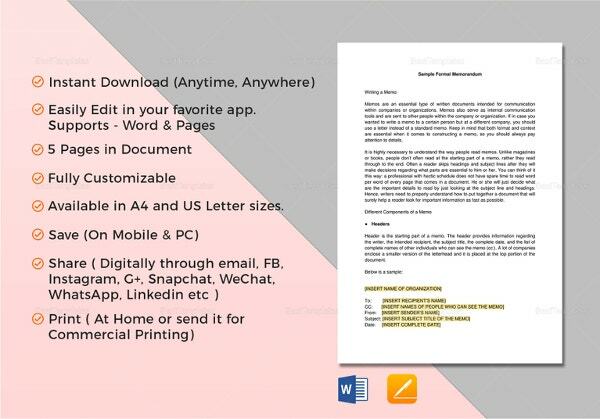 This mostly takes a form of a formal email which can be used for multiple purposes including work related documents, important announcements, social events or any other official engagement. These templates are designed in either HTML format or using Microsoft Word. Buy Now When two or more parties enters into a deal there is a formal document of formal agreement containing the terms & conditions, confidentiality clauses, credit clauses, team structures, deal duration and other statutory information. This formal agreement is also known as a deal memo, which is designed mostly in Microsoft Word. 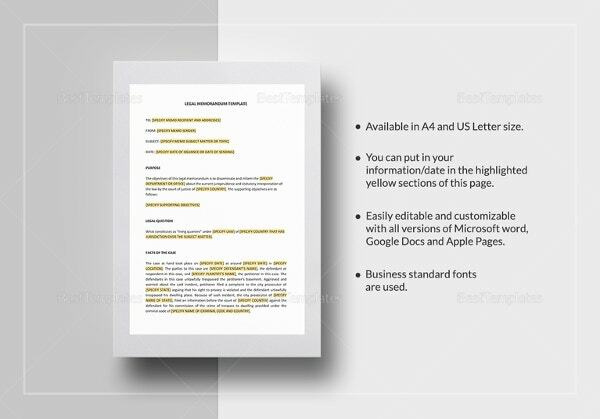 Buy Now Executive memorandum, as the name suggests, is an executive summary of a more detailed business memo. These memos are mostly used to convey in short the gist of the entire business deal, the primary objectives and the other key points of consideration. 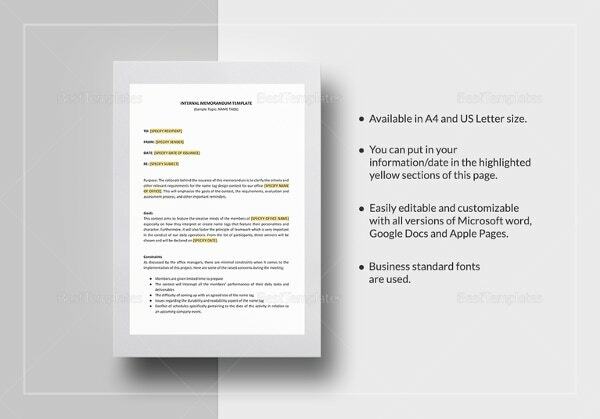 These memos are formal in nature, and are mostly designed in Microsoft Word or PDF format. Buy Now If you have an announcement or a few which need to be conveyed throughout the company, a memo works best for the purpose. All business units will duly receive the messages. However, the important bit is that the memo’s design and layout must be in tune with the nature of the announcement. 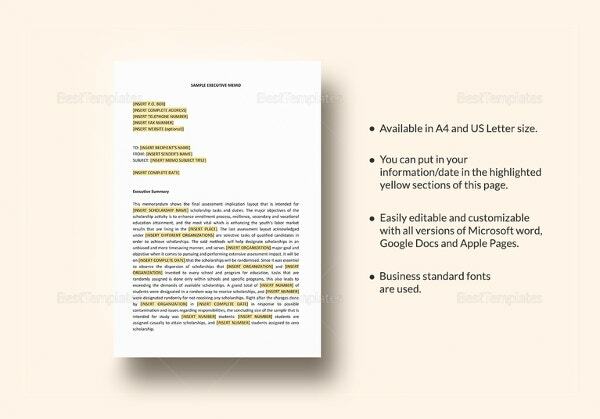 Buy Now Blank memo templates are mostly used when the designed wants extreme form of customization in the content, and wishes to design the template from scratch. These are mostly in the form of Microsoft Word on which the designer can then add styles, themes to get the desired look and feel. 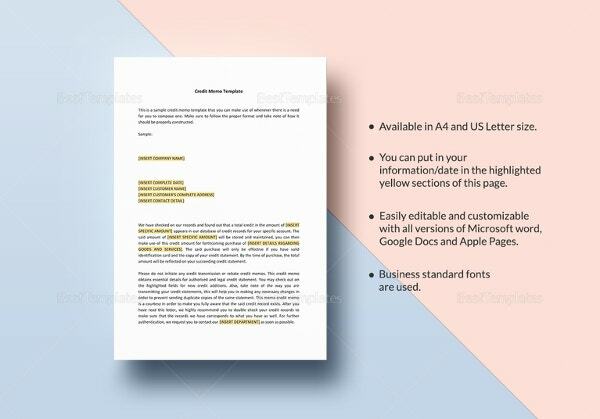 Buy Now Formal memos are mostly used to convey official information which may be both for internal audience as well as for external stakeholders. 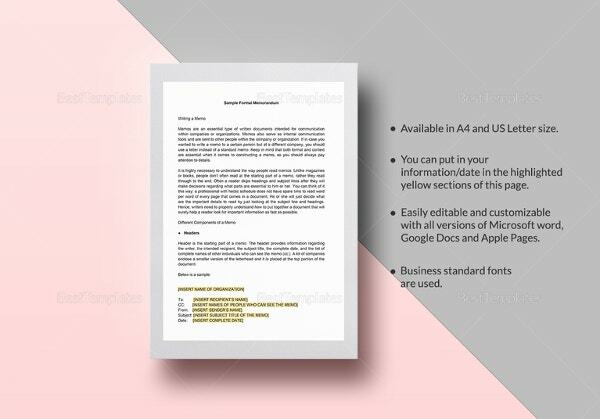 These formal memos are mostly designed using templates created in Microsoft Word, Excel or in PDF format depending upon the information conveyed in the memo. Word is preferred for informative memos whereas the Excel format is preferred for numeric calculations. 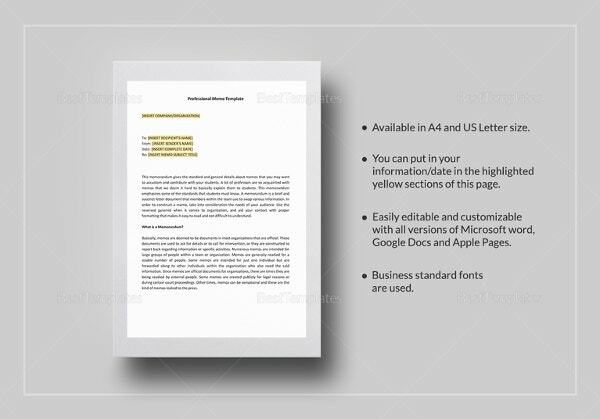 Buy Now Debit memo mostly take the shape of a transactional document which shows the various cash flows of the company – for both inflow and outflow of cash. These memos are maintained mostly in Microsoft Excel format, and are similar to an invoice highlighting all the monetary transactions for that particular order. 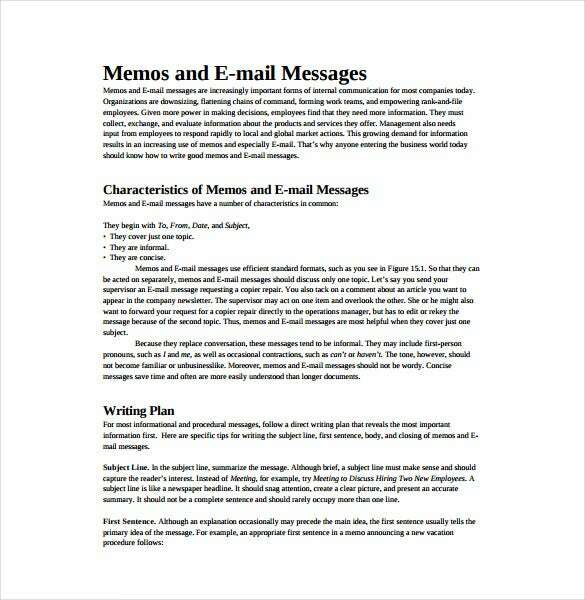 Internal memos are mostly used by business managers and liaisons for internal communication. 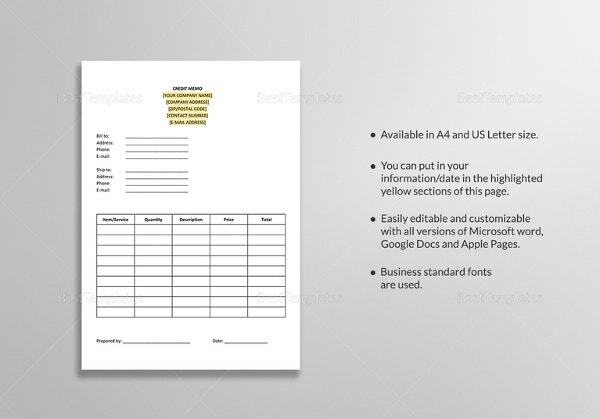 These are multi-purpose templates which can be used for all types of intra- official communication including documents, short notes or any other communications. 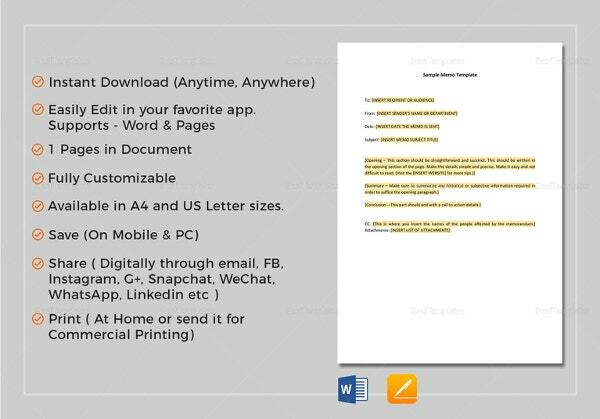 These memos are mostly created in Microsoft Word or in editable PDF format as well. 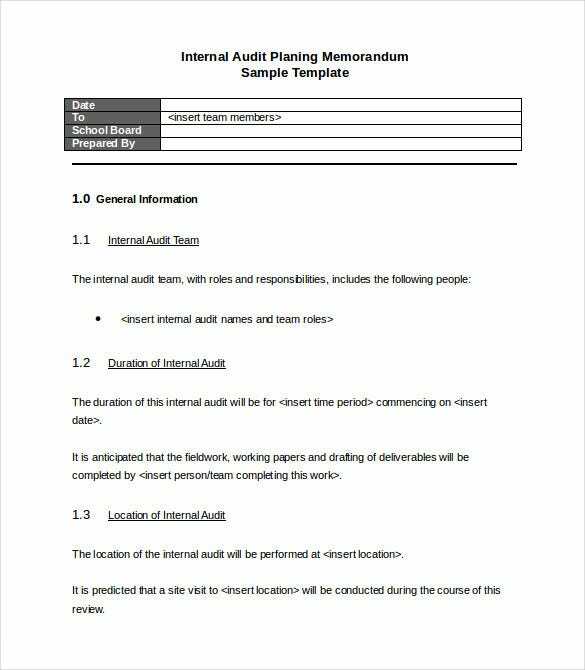 Audit template, as obvious from the nomenclature is precisely used to substantiate audit engagements – be it internal or external. 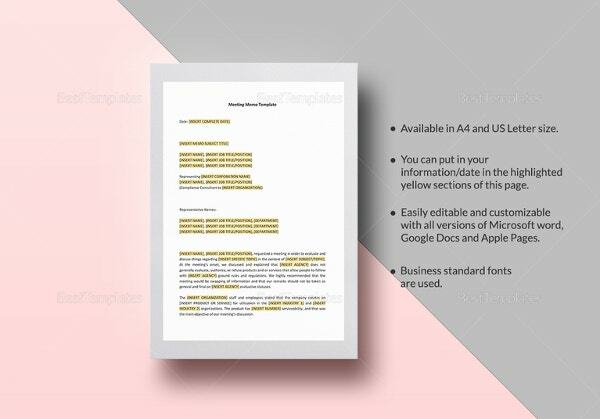 These memo templates are mostly designed in Microsoft Word or PDF format and have in depth information on the related audit being conducted in the firm including the financial and regulatory implications of the same. Email memos mostly take the format of an email communication with a “From”, “To”, “Subject”, “Body” and finally ending with signature of the signature. 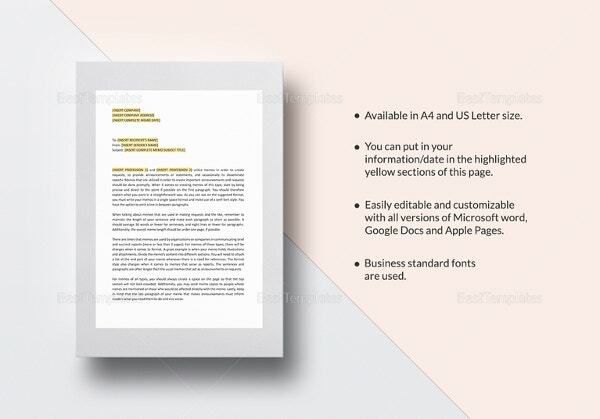 These memo templates are mostly designed using Microsoft Word, and are mostly used to draft formal mails to corporate users or other business partners and stake holders.